There are certain moments of desperation you can only experience as a parent. I had that moment last year. My son had to have a biopsy for a suspicious lymph node (thankfully, benign). I knew in that moment that I would do anything to take his place. Would do anything in my power to take the scariness away from him. So I empathized with Paul Jones in The Lady is a Vamp from the word go. Jeanne Louise Argeneau, for me, has been a character that I didn’t hold much hope of a storyline for. Certainly not a power player in the Argeneau-verse like Lucian, Marguerite or Julian (yes, yes, don’t email, I know Julian is a Notte). Jeanne Louise was a younger character that still ate, didn’t succumb to the pitfalls of being an older Immortal and just seemed like more of a background player. Until she got into her car and found herself being kidnapped by her life mate. Jeanne Louise is very much a power player. She is just quiet. Younger sister to Thomas and Nicholas and daughter to Armand, Jeanne Louise is employed at Argeneau Enterprises and is very dedicated to her work as well as her family. Completely ignorant to the people around her, she never noticed the admiring glances from the human R&D employee Paul Jones. Paul noticed Jeanne and was well aware of the existence of Immortals. So when his precious little girl Livy was diagnosed with a very aggressive brain tumor, he knew he had to act fast and he knew he needed immortal blood. What Paul doesn’t realize is that the Immortals have laws of their own. They only had one turn and they usually reserve that turn for their life mate. Paul and Jeanne Louise are life mates. So how can they manage this? How can little Livy’s life be saved and Jeanne Louise have a happily ever after with him? The answers may seem simple but they are not. Lynsay Sands masterfully weaves complications into Jeanne Louise and Paul’s journey. Their story is believable. Their complications are valid and quiet little background player Jeanne Louise quickly became one of my favorite characters. Not since hot-headed Gregory Hewitt stepped into the life of Lissianna Argeneau has a mortal held as much appeal as Paul. And my favorite Argeneau of all, Lucian, has my favorite line of the entire book: “’Swallow,’ Lucian said dryly. ‘I am not biting myself again for you.’” And just like that, my favorite Atlantean reminds the world why he is such a draw for this series. 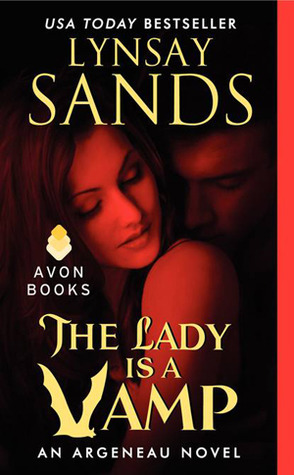 Sands does something special in this book – she puts life back into a series that has seen better days. I said something in my last review about wanting more Notte’s, which I still do. Christian and Julian provided enough in this book where you realize that there is some Immortal fun to be had in Italy as well as Canada. But I’ll be damned if the Argeneau’s didn’t make a powerful statement in this book. They aren’t done. Not by a long shot. The interaction between Paul and Jeanne Louise was tear-jerking. I believed the love between these two. And when one of them did the near impossible and walked away from the one they loved, I was reaching for tissue. Fans of the Argeneau series need to run fast for this one. Lynsay Sands proved that her fanged heroes and heroines still have some play in them yet. 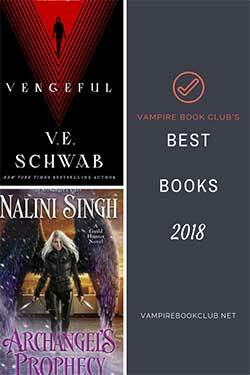 I love Lynsay Sands’ vampires- am working my way through her series both by audiobook & reading and just started on “The Rogue Hunter.” She makes each novel unique- the characters are realistic to me- both compelling and humorous. I look forward to working my way to “The Lady is a Vamp”! Susan, there is very little humor in this one. Have your Kleenex ready. 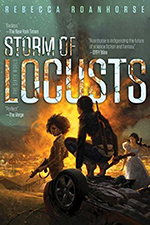 I rank this one right up there with Lucian and Leigh’s story and in my humble opinion, that was the best of the Argeneau novels. Of course, that particular Atlantean had me at hello. I am behind in the series and am so glad this one is on my book shelves after reading your POV on the story Candace it gives me something to look forward to! Aww, I’m glad! I can’t stress it enough, this one does not have the humor that Sands has so successfully incorporated into her Argeneau novels, but it’s one of the best. Enjoy!